AROUND 3,000 homes across the north remain without electricity after Storm Eleanor battered the north overnight. 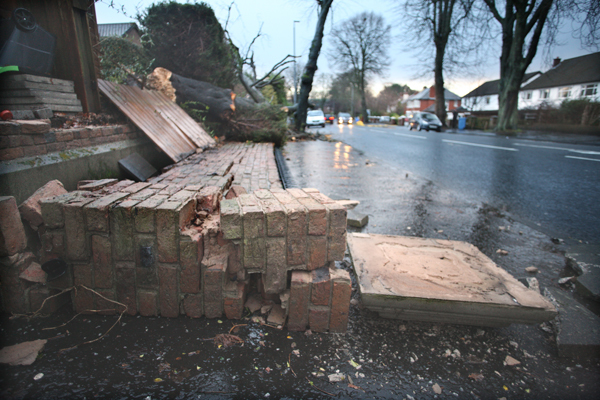 Powerful gusts, as high as 100mph in some areas, and gale force winds brought down trees and power lines. Motorists have been urged to slow down and exercise caution with a yellow wind warning still in place until 7pm tonight (Wednesday). All three Danske Bank Premiership games on Tuesday night were abandoned at half-time due to strong winds. A PSNI spokesperson said: “Due to the impact of Storm Eleanor on the road network police are advising motorists to reduce their speed and exercise caution on the roads this morning.